Having a real name in your Facebook group url will make it much easier for you and your members to remember what it is. I see far too many homeschool support groups on Facebook left with a long chain of numbers at the end of their URLs. 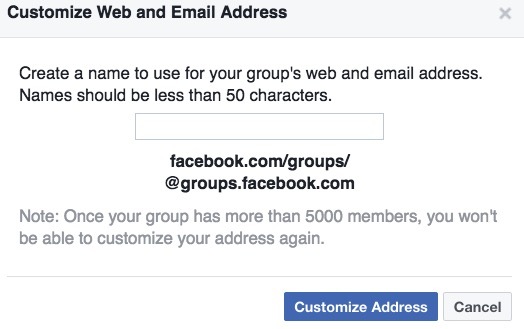 Note that you need to do this before your group has 5000 members! Only the owner or editors of the group can probably make this edit. Here’s how to get a real name in your group URL. Go to the ellipse “…” next to Notifications. In dropdown, select Edit Group Settings. Insert the name you’d like for your URL as one long word, no spaces. It has to be less than 50 characters. No capital letters. This will help marketing your group tremendously. Having an email address will allow members to use email to make posts….but they will need you to tell them this email, or they’ll probably never know it exists. Facebook is constantly changing and evolving, replacing old features and introducing new ones. This new edition of the bestselling guide quickly and easily gets you up and running on all the site has to offer. 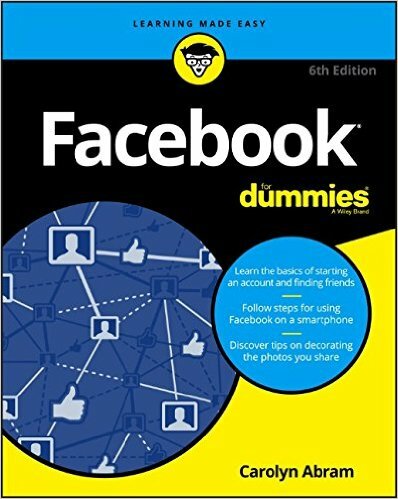 Packed with straightforward guidance that demystifies the nuts and bolts of this popular social media site, Facebook For Dummies covers everything from finding friends and planning events to uploading photos and videos—and so much more. Facebook is here to stay. For its billions of worldwide users, it’s become a central meeting place for people from all corners of the earth to connect and share. If you’re the type to share snippets of your life through photos and writing or just find joy in reading and seeing what your family and friends are up to, there’s something for everyone on Facebook. Providing coverage of the latest changes to the site, this go-to guide cuts through the confusion and offers plain-English guidance on using Facebook to its fullest so you can deepen your connections, stay social, and just have fun! Whether you’re a newbie or an old hat looking to make sense of the latest features, this friendly guide reveals the many faces of Facebook in a language you can understand. Local Site Wish List – What Homeschoolers Want From Local Websites.